Macy’s, Neiman Marcus, Lowe’s, Target, Belk and Best Buy…do you know what they have in common? Yeah! They are the big sharks; the premier retailers with iconic brands that cater to their customers’ needs through outstanding stores, robust online sites and mobile apps. But, that’s not it…they are also the very dignified retailers who over years were victims to the Black Friday and Cyber Mondaycrash-downs. They have all had the retailers’ worst nightmare and responsible for the worst Thanksgiving experience to millions of customers waiting to have a pumped up shopping extravaganza. “Come on @Target get it together. How am I supposed to order anything on Cyber Monday if you can’t keep your website running?” Nikki Ferrell tweeted.On Cyber Monday, a little more than 121 million shoppers planned to shop online; the numbers down slightly from the 126.9 million who planned to participate the year before that, according to the National Retail Federation.Target’s shares were down 1.1 percent at $72.59 in late morning trading that year. Another name that must be added to this list is that of Macy’s. In November 2017, when the credit card system struggled to process the transactions nationwide on the auspicious shopping day of Black Friday, it brought out a massive frenzy in customers. “Sorry shoppers! Macys.com is temporarily closed for scheduled site improvements as we work to bring you a better shopping experience,” read a screenshot that was posted by a Twitter user. The list would be incomplete without the addition of the names like Neiman Marcus, Best Buy, Walmart, Belk and Flipkart. On a regular uneventful day, there is no such situation that would be questioning the performance of your website or your app. But on days by the likes of Black Fridays and Cyber Mondays, when there is an unexpected spike in traffic, not having the exact idea about the numbers which might be clicking away on their computers and mobile phones, filling their carts with their wish list, it leads to the websites behaving erratically and disastrous situations of an inevitable crash down.One could probably go on and on with the endless list of such examples, but the only agenda behind it is to point out the fact that even companies and organizations with advanced technology and robust architecture can crash under unexpected load on their websites. History suggests that e-retailers have had a constant struggle with determining the number of customers who might visit them in this big bargain hunting extravaganzas. This leads to the downtime in websites and disheartened customers leading to a spoiled brand image. We are all aware of the obvious scenario, nobody has the patience of a saint while purchasing a product. No matter how many successful deliveries you have made them in the past, the moment your website gets stuck it may take them less than a few seconds to abandon your site and go somewhere else to make the purchase.Even with elastic and abundant infrastructure today, why do they fail to handle the swamped up traffic? With highly distributed architecture of applications and components, not to mention latencies introduced by mobile networks, we now have multiple points of failures in the system that could crack under load as resource contention increases. It is this challenge of pin pointing performance bottlenecks with accuracy, that performance testing and monitoring will help resolve.Performance testing helps you understand the behavioral aspects of your application under high load conditions and in determining the speed at which it responds. It ensures that before the launch, the website or application is working flawlessly at increased loads by ensuring that there is no dis functioning in the system infrastructure of the app or in user interaction with the same. It provides an insight into how the app will react in unfavorable situations of amplified load, slow server speed and any kind of network issues. The most important benefit being that the website/app can be confidently released with the confidence of a trouble free experience for both end user and the retailer.Application Performance Monitoring during testing as well as in production gives us meaningful insights to the resource contention and latencies across various components of a complex transaction. These insights to the customers’ digital experience can help us fine tune application performance, improve the user experience and ultimately drive business growth! 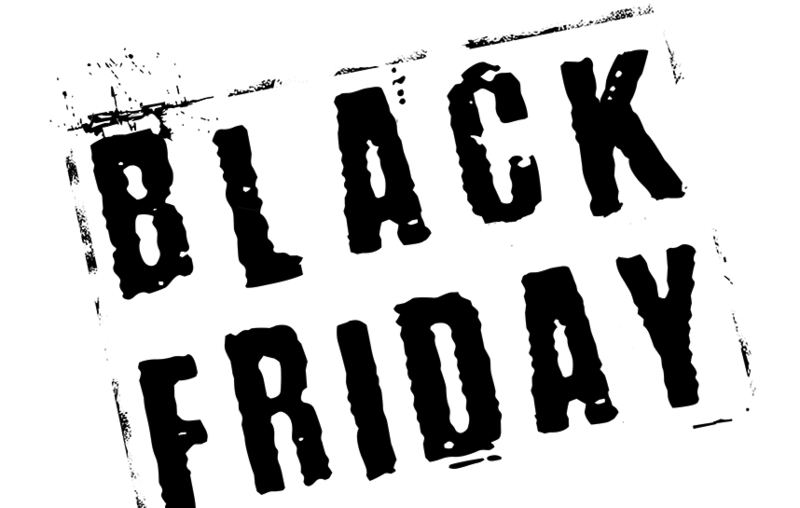 So, prepare your website for expected/unexpected traffic such that everybody can only be thankful to the Black Fridays and Cyber Mondays with a happy shopping cart and a happier checkout experience. ImpactQA has partnered with leading technology platforms like Loadrunner, Blazemeter and Dynatrace to deliver best in class performance testing and monitoring solutions. The solutions are based on understanding the user experience and providing end to end visibility to application performance and availability.